Installation of retail, bulk, marina, commercial and automotive fluid systems and municipal fleet fuelling systems are complex, and require compliance with the Technical Standards & Safety Authority (TSSA) Liquid Fuels Handling Code and the Ministry of the Environment and Climate Change (MOECC). 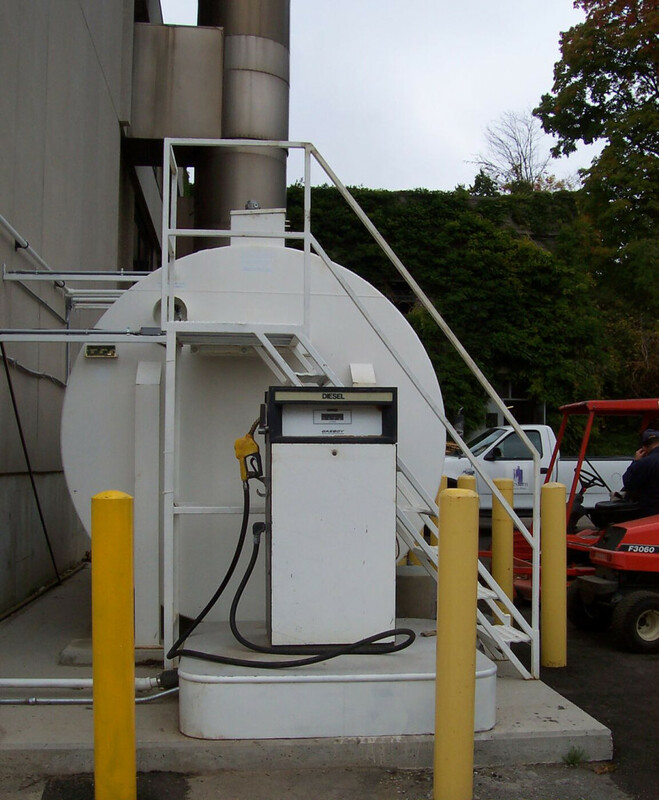 Comco Canada Inc. will design and install any fuelling system above or below ground either in steel or fibreglass to suit the client’s needs and budget. Each installation begins by meeting with our client and then providing a design to ensure the plans meet both their needs, which often includes complex electronic reconciliation systems, and the regulatory requirements of the Province of Ontario. Once plans are approved by the client, they are submitted to TSSA for final approval. Once approved, installation can begin. Throughout the installation process the equipment and functionality of the system is continuously inspected to ensure there will be no setbacks upon completion of the project. Our service provides installation of all fuelling components including electrical, concrete pump islands and tank aprons as well as weather canopies, if required. Upon completion, Comco facilitates all inspection requirements to get the client’s fuel systems operational. Inspections include: testing of all fuelling components, pressure testing of tank and product lines, cathodic protection certification, hydrostatic containment testing, Electrical Safety Authority (ESA) inspection, and arranging for final TSSA inspection. Our in house staff of engineers, designers, drafters, and petroleum mechanics can complete all aspects of the design of the system, including production of sealed drawings and use of best standards of construction materials in order to ensure a quality installation. Our designs and installations range from single tank systems to complex multi-pump, multi-product and multi-tank fuelling systems. All systems are designed and constructed in accordance with client’s needs and budget, as well as TSSA and MOECC regulations. The Comco Canada Inc. team is experienced and knowledgeable of all components of a fueling system no matter how complex. We have more than 50 years of continuously serving Central Ontario, as well as working on projects in other areas of Canada. Our aim is to provide a quality design and installation for a fair price to our customers.